Oil and gas industry workers are aware of the extreme danger they face on a daily basis, and they do everything they can to keep themselves and their coworkers safe. Still, oil field accidents are a reality, and workers may suffer extremely serious injuries. When an accident causes severe injury or death, we are prepared to guide you and your family through what may be one of the most difficult times in your life. With us on your side, you will work directly with a our firm who will FIGHT to help you get the maximum available compensation for medical expenses, lost income and other costs resulting from the accident. Much can go wrong in the oil and gas industry, and in many cases, negligence on the part of the energy company or a coworker is a factor. We know how to examine the nature of the accident and seek the maximum available compensation for any injuries you may have suffered. If you or a loved one is facing the serious medical and financial consequences of an oil field accident, do not hesitate to contact our law firm in San Antonio to arrange a free consultation with a lawyer who will FIGHT for you. Call 1-888-WE-FIGHT or 210-265-6290 today. 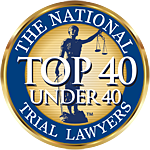 The Law Office of Shawn C. Brown, PC, represents clients throughout South Texas.